Home Does Trimming Fashion Slider Does Trimming Your Hair Make It Grow Faster? We spend a lot of time and money on our hair. Whether you want perfect curls, amazing length, or crazy volume, we all want our hair to be strong and healthy. So, we decided to investigate the long-time myth that regularly trimming your hair helps it grow faster…. Well, we have officially busted this beauty urban legend. 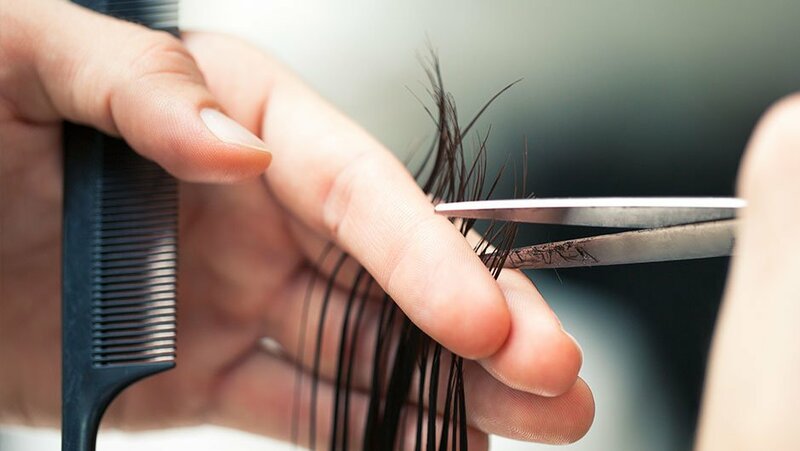 Paradi Mirmirani, MD, assistant professor of dermatology at the University of California, San Francisco explains that cutting the ends of your hair doesn’t affect the follicles in your scalp. So, trimming doesn’t determine how fast or how much your hair grows. But… getting a trim is always great! Cutting off dead or split ends makes your hair look longer and healthier. So every eight to twelve weeks, ask your hairdresser to cut off the minimal amounts from the tips of your hair. It never hurts to put in some extra love to keep your hair looking beautiful!